Direct Payday Lenders - Where Are All The Online Lenders? Many people end up at our site because they can’t find a payday loans direct lenders in their state. Oftentimes they’ll spend hours and hours trying to find a cash advance lender online. Only to waste their time dealing with payday loan matching services. That brings us to the question of why there are so few actual direct lenders. The answer to this question is simple. There are way too many regulatory requirements for most reputable direct payday lenders to enter the industry. In this week’s blog post we’ll break down what we’ve seen in the industry over the past few months and how it’s affecting consumers who have bad credit. Based on the demand for short term loans you’d think there would be hundreds of reputable lenders operating across the country. As we’ve seen over the past few months this is not the case. Our best estimate right now is that there are no more than 20 large and reputable direct payday lenders. These firms are lending money in the United States. You may think that sounds like a lot and it is. But problems arise when each state has their own restrictions and regulations as well as the Federal Government. In fact, over the past year we’ve seen many large banks exit the short term lending industry. Banks such as Wells Fargo and US Bank long offered direct deposit advances that operate much like a direct payday loan. These large banks have now determined there is too much heat coming down on them from the Federal Government. That’s why they decided to pull back on their direct lender payday loans. The Federal Government has a good amount of regulatory oversight on the payday loan industry. That’s nothing compared to the state by state regulatory environment. You need to understand, each state has their own rules governing the finance industry. Each of these states is influenced by the political environment of that state as well. Some states lean far right and some states lean far left. That means all 50 states are monitoring and overseeing the large payday advance companies in their state. On top of that, each state is trying to regulate any direct payday loan lender that may attempt to offer a payday loan to a consumer in their state. Based on all that it’s no wonder that the amount of firms lending money to consumers with bad credit is dwindling. Some states such as New York and Arizona completely ban direct lender payday loans from being offered in their state. Other states such as Illinois don’t completely ban installment loans. But they make it very difficult for those types of direct payday lenders to operate there. On the other hand, states like Texas and Utah are very friendly to the payday loan industry and don’t have nearly as many regulations. Ultimately, this means that consumers in those states have more of a chance to get a payday advance from a reputable lender. Consumers in states like New York are left to do whatever they can to get a short term loan. It will be interesting to see how things play out over the rest of the year. We can find a middle ground so consumers with bad credit don’t get ripped off and only work with reputable payday loans direct lenders. This would give them the option of taking out a short term loan only if they needed it and paying it back in full when the loan becomes due. 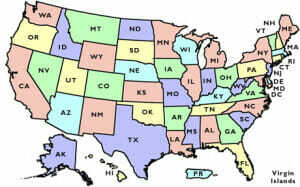 Are you looking for a company that offers payday loans direct lenders in your state? Be sure to check out our database of payday loan companies today!